Seriously, who in life yearns to be so blatantly ordinary? People try so hard to mask their own kind of weird because they hunger for acceptance. What's truly sad about this is that they yearn for other people's acceptance more than their own by trying to fit into a mold that's clearly not for them. When I ask people, "what's so wrong about not being like the rest? ", no one can really give me a straight answer. Most of them brush me off by saying, "just because." I have never once thought that each and every human was meant to be same, because really, where's the fun in that? I am weird because I have an unladylike and boisterous laugh. I am weird because I was never attracted to the idea of being a cheerleader. I am weird because I would spend my lunch breaks in the library instead of the cafeteria. Luckily, my family has never been one to agree. I inherited my father's laugh, and my mother's uncanny inability to dance, and just then, my sister turned me into a bookworm. They all encourage each other to foster whatever weirdness is there, because it is precisely that weirdness that makes you distinguished from the rest. Oftentimes, my mom would say, "If your choices don't hurt anyone, then there'snothing wrong with them." True story: My section adviser called up my mother once to tell her that she did not like the way my bangs were cut and that I should get rid of them. At that time, I was young, and I had decided to cut my own bangs because the hairdresser never got it right. And honestly, I didn't think they looked that bad. My mother even said they looked nice. What was funnier to me was that I never knew teachers had a say in my hair choices. Honestly speaking, the more people argued against my choices, the more I wanted to stick by them. It's not because I wanted to be a rebel, but because from a very early age, I was raised to to fight for what I want and for what I believe in. I think that if you constantly fluctuate between what you want and what society wants, you never really have a clear vision of who you are. The line between who you really want to be and what society wants you be to be becomes blurred. If I don't see anything wrong with my decisions, what did it matter to them? Not once did I conform to what my teachers and peers saw as "normal", unless, you know, I was about to get sanctioned. I think that if you constantly fluctuate between what you want and what society wants, you never really have a clear vision of who you are. The line between who you really want to be and what society wants you be to be becomes blurred. If I don't see anything wrong with my decisions, what did it matter to them? 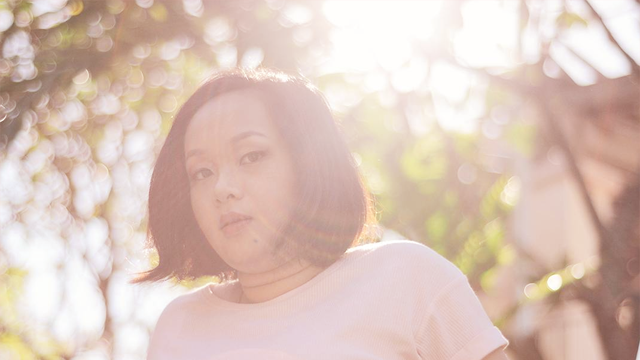 Years later, this "weirdness" got me into one of the country's top universities, landed me a spot in a batch of Candy Correspondents, and pushed me into making an online magazine for young and unrecognized talent. When people approach me and ask why I decided to give life to Rumination, I never really know what answer to give them except "because it felt right." Even though it has garnered a loyal following, there are still people who are not so fond of the idea. They tell me that it's just a waste of my time because I don't make money out of it and that I am wasting all my energy when I should be studying hard in school. Though funnily enough, my grades even got higher after I started Rumination. It had never felt like a burden to me because it was something I loved to do—I didn't think of it as work, but rather an escape from school. I live life comfortably, and without any regrets because I'm not spending all my time thinking of ways I could earn acceptance and validation from society. I do what I what I think is right, entertaining and fun because I don't know how to do it any other way. To this very day, I would still rather stay at home and play Harvest Moon than go out and party. Whenever I do end up going out, the thing I look forward to the most is the post-party McDonald's drive-thru. Not that I'm saying these preferences are weird, but it is because of choices like these that I am dubbed as killjoy, unusual, and strange. In reality, the only basis society has for being "weird" is when your preferences don't align with that of others'. There is nothing society hates more than something it cannot understand. That's why our mouths are so loose with spewing out labels such as weirdo, freak, or misfit. We are all weird, so to speak—we just have different brands of weird. When in doubt, think of it this way: when people try to force you into this mold that clearly doesn't fit, it is not them who get hurt, it's you. If being "weird" means not sharing the same preferences and interests with the majority, then I'll live. I don't know about you but I would much rather be called weird than generic. There is no greater insult than being thought of as common and replaceable. No one is ever fascinated with what is normal because people remember the eccentric. Now, when someone calls me "weird", I smile because I know I'm doing me right. Had I not stuck with my brand of weirdness, I wouldn't not be where I am now—with a solid set of friends who are just as weird as me, interesting career opportunities. Things are different now, but in a good way. For one, I'm no longer sporting bangs. What makes me a certified Candy girl is my desire and eagerness to present myself as me, but better.